Now we can start creating our email layouts. These will allow us to build email layouts customized for the type of candidates, positions or email campaigns. This will be the visual aspect, then email templates will then display the text in these email layouts. Add a Header Component where you can include you logo and some header text. Under details enter header text & select positioning, add your logo in the logo tab, under the style tab select the background color and text color. In the top right corner, select save and the preview icon. 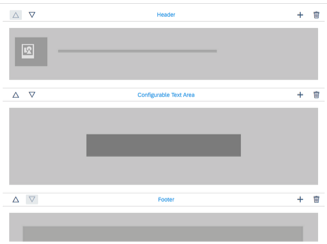 When previewing the template, it will only show the components configure. 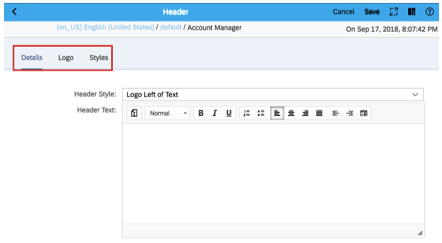 It will skip the Configurable Text Area, also known as the email template where the text will display. See below how components are configured and how email template will be previewed. Give your template a name, email subject and enter the content. To enter tokens, select the 3 dots on the very right on the email body, you can then select recipient field and add the available fields. To enter a link, select the chain link at the top of the text area box. When completed, ensure template is active and select Save. 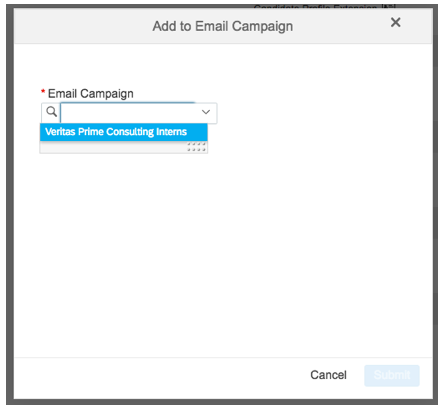 Enter an Email Campaign Name, you campaign code will auto-generate based on campaign name; this will be displayed in the URL. Enter the From Display Name. Enter a reply name and email address if desired. If you wanted to manually add Candidates, under the Candidates Tab in Recruiting, select Keyword and Item Search. You will receive a success message that your candidate has been added successfully. Once we have all our users added to our email campaign. Lets navigate back and send our campaign email to those users. Navigate back to the Marketing Tab under Recruiting. Review your email & campaign details, then send. 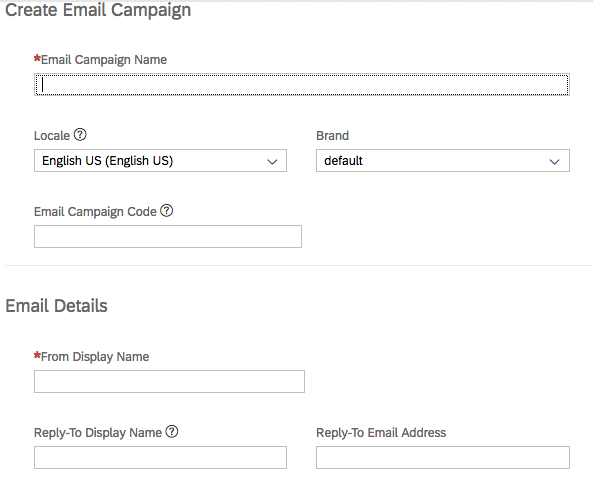 Now that I have sent this campaign email, when I select it I can start viewing analytics on this campaign (under Recruiting –> Marketing –> Select Campaign Email). This will give me information on the campaign details and analytics on email clicks, views, unsubscribes and more. We have now started engaging our candidates and utilizing the talent in our own ATS system. Over these last three blogs, I have covered a number of ways to start targeting and engaging more candidates. These new functionalities can be used many different ways to help reduce your recruiting pain points. These tools make it easy to place candidates in the right position, and find better fitting candidates by targeting different groups of candidates. These candidate relationship management tools are very important for recruiting marketing and presenting a strong brand. Branding is an important part in gaining the competitive edge in recruiting, and making your company stand out. 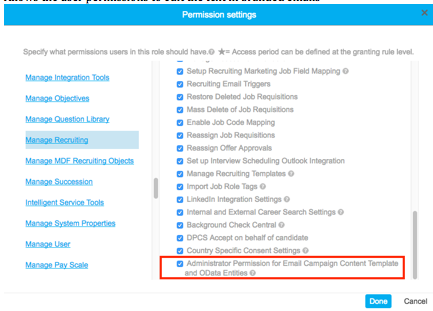 Using landing pages, campaigns and the other CRM tools SuccessFactors offers is an easy way to express your employer brand and attract more quality candidates.